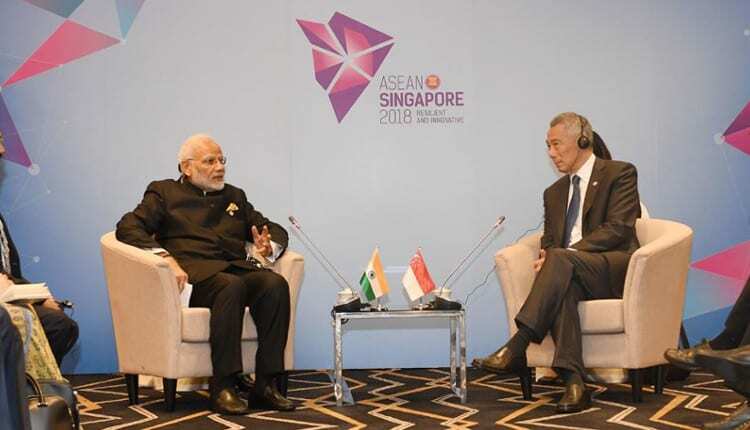 Prime Minister Narendra Modi has said that financial inclusion has become a reality for 1.3 billion Indians as he pitched India as a favourite destination for investment at the Fintech Festival in Singapore. Modi became the first world leader to address the festival which was launched in 2016 and is in its third edition. “Financial inclusion has become reality for 1.3 billion Indians. We have generated more than 1.2 billion biometric identities- Aadhaar or foundation- in just a few years,” Modi said at the event. Modi also launched APIX (Application Programming Interface Exchange), a global fintech platform with Deputy PM of Singapore T Shanmugaratnam after his address at the event. “APIX will eventually connect our companies to financial institutions globally,” he said. “Across the world, from the Indo-Pacific to Africa to Latin America, we see inspiring stories of extraordinary innovation changing ordinary lives. But, there is much to be done,” he said. Modi said through Aadhaar and cellphones, his government has launched Jan Dhan Yojana and opened 330 million new bank accounts in three years. “We are in an age of a historic transition brought about by technology. From desktop to cloud, from Internet to social media, from IT Services to Internet of Things, we have come a long way in short time,” he said.